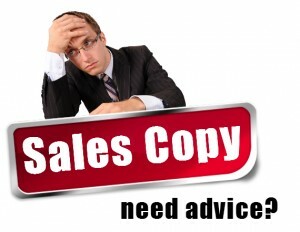 Copywriting is a vital part of selling online. The power of words can make the difference between making that ‘sale’ and not making that sale. 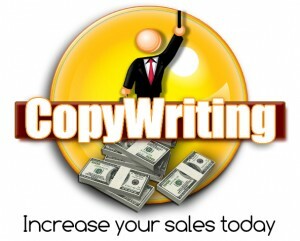 Other than driving targeted traffic to your offer or squeeze page, writing copy is just as important. You can get hundreds or even thousands of visitors to your offer or sales page but if your copy does not convince them to buy then that traffic and opportunity to make a sale is ‘wasted’. Ok, so today I want to tell you about some words that you should never use within your sales copy, basically because they will KILL your conversion rates. Even on a subconscious level. Here is a list of these words and some alternatives that you can use to add some power to your copy. You should never use the word learn in your sales copy because it indicates that ‘effort’ will be required. When we ‘learn’ to ride a bike it isn’t EASY. When we learn how to speak French, it isn’t instant or easy for it to sink in. A good replacement word for ‘LEARN’ is ‘DISCOVER’. Everyone loves to discover rather than learn. Discover indicates an ‘AHAA!’ moment. Something they stumble across rather than something with a learning curve that they have to digest and allow to sink in. ‘Discover’ has different meanings and many relate that word to positive events like ‘discovering gold!’, or ‘Discovering new techniques to make money online’. It’s always better to discover than learn! Another alternative could be ‘UNCOVER’. We like to uncover things. Discovering or uncovering something is also more ‘exclusive’ and the reader will feel as though they are in an inner circle and are now also able to discover what you are about to share with them. Nobody likes to be told what to do. Instead use REVEAL. “Inside I’m going to REVEAL a special method in which you can make a passive income online” is much better than “Inside I’m going to tell you a special method in which you can make a passive income online”. Revealing adds an air of mystery to what you are offering. We use this word a LOT in everyday life and it usually translates into a negative sentence. When you make a statement and then follow that with a ‘BUT’, it initiates an anti-climax response. People usually expect something negative to follow. “I’d love to go out for a meal with you tonight BUT….” or “We were hoping that your new car would be ready for you to pick up today BUT…”. The ends of those two sentences will likely be negative and we hear these kinds of sentences in everyday life. What we need to do is replace “BUT” with “HOWEVER”. However is much more positive and usually elaborates on the first part of the sentence RATHER than stops it dead. “HOWEVER” offers hope and is a positive word. At the very worse it usually indicates a pleasing or reasonable compromise. Nobody necessarily likes to BUY anything, especially in the current financial crisis. Buying involves spending money and although in life we all have to spend money to live or progress, we don’t always want to use that word when writing good sales copy. Instead use words like “INVEST”, “SNAP UP”, “RESEARVE”, “CLAIM” or “GRAB”. People would rather INVEST in a product than BUY a product although the two trigger the same result, which is spending money. People would rather “CLAIM” their place or “SNAP UP” their deal instead of “BUYING” it. You’ve heard of the saying “No ifs or buts!”. Well, this also applies when writing powerful sales copy. “If” is a ‘negative’ word. For example, “If you make your fortunes”, or “If you get this job” is negative. Use ‘WHEN” instead. For example, “When you make your fortunes”, or “When you get this job” are much more positive. Don’t ever restrict the possibilities. Portray a positive attitude at all times. After all, you are trying to convince the reader… not dissuade them. Never use the words “THINGS”. Using this word is lazy and unspecific. People want to know specifics. “Things” could mean anything and can lead to confusion. Nobody wants to discover “things”. They want to discover “TIPS” or “TECHNIQUES”… or whatever it is your are offering to REVEAL to them so be more specific. Again, this is similar to “THINGS”. Nobody wants to know “stuff”. Using this word shows unprofessionalism and shows them that you REALLY don’t have a clue what you are talking about. People like to discover “SECRETS” or “INSIDER INFORMATION”. Make it sound intriguing and they will want to find out more from you. There are lots of BAD words that you want to steer away from when writing compelling copywriting. When drafting your promotional emails, or creating your sales pages, read through your copy carefully and think about the words you are using. Do they sound negative? Do they sound intriguing? They may not appear to be on the surface HOWEVER on a subconscious level we humans pick up all kinds of signals and this can have either a REALLY positive effect on your results… or devastating results. It would be great to hear your views, tips or experience with copywriting, so please feel free to leave a comment! Also, the two copywriting graphics that I have included within this post were created in just a couple of minutes using the logo creation software that I told you about in my last email. I highly recommend this software as you can whip up professional logos, banners, headers, buttons and much more in just a few minutes. All drag and drop and extremely simple to use. You can find out more about this software by clicking HERE. Great information. Your click-thrus to this may be low since the link in the email sent people to a dead server. I copy and pasted the url to get here. wow!, that was an eye opener with words we may not really pay attention to, it made me sit up with more awareness of how I come across. P.S. I also bought the logo creator and seeing your logo helped me as far as ideas, I can’t wait till more videos are added to help with that as I bought like when it first came out and it only had one video on how to use it, can you help at all on ideas on how to come up with a logo? like how you put together yours etc.? would you recommend doing a logo with affiliate sites? review sites etc.? Thanks for the great post Andy! Hi Serge. When I started with Internet marketing I thought the same way? And even tried to sell products in British Pounds. I soon learnt. I’m in the UK and when anyone sells products online as a marketer, it is always in USD. Thats just the way it is. I just created that graphic quickly using the software. Thanks for commenting. I’ve always been a firm believer in “positive” marketing and still find myself attempting to use words like these. Bad habits die hard.